Future Hall Of Famer Los Angeles Lakers point guard Steve Nash finally announced his retirement last Saturday March 21, ending his 19-year NBA career having two MVP awards. Due to injuries Nash, played just 65 games over the past three seasons, Nash, formalized his retirement with a letter on the Players' Tribune. The Canadian star and The NBA legend, wrote to Tribune that "I will likely never play basketball again,"
"It's bittersweet. I already miss the game deeply, but I'm also really excited to learn to do something else." Nash was draft 15th overall by the Phoenix Suns in the first round of the 1996 NBA draft. Suns fans booed him upon the disapproval of the relatively unknown player. On 1998, Nash was traded from the Suns to the Mavericks in exchange for Martin Müürsepp, Bubba Wells. On 2004, Nash, became a free agent. The Phoenix Suns offered him a six-year, $63 million contract. Nash was reluctant to leave Dallas, but Marc Cuban of Dallas did not match the deal that leads Nash to accept the deal and return to Phoenix Suns. 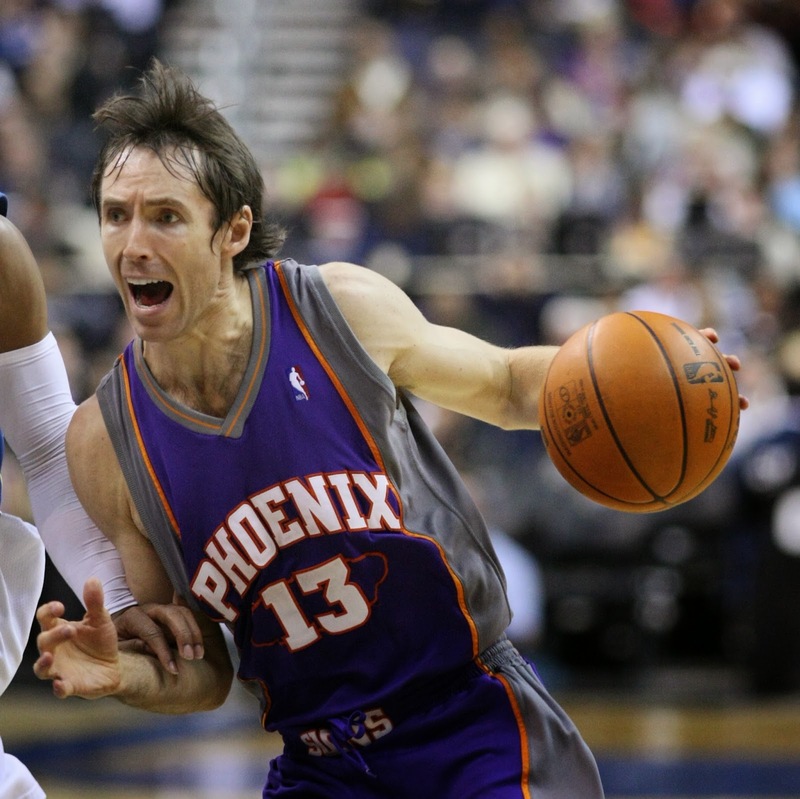 During his tenure in phoenix Sun, Nash Help the team to reach the Western Conference Finals, both appearance has suffered lost, he also won his two MVP awards during his stay in Phoenix. On 2012, Nash was traded to Los Angeles Lakers, Nash Team up with what to be a title contender with Kobe Bryant, Dwight Howard and Paul Gasul. But over the past three seasons in to Los Angeles Lakers, Nash suffered multiple Injuries and on the beginning 2014–15 season that he announced that would be his final season. he experienced back pain, that lead to end his season. Although Nash, career end up with the Lakers, he will be remembered for his incredible prime with the Phoenix Suns. speedy, sharp-shooting guard that changed the professional game . Steve Nash, end his NBA career Stats of having won Two time MVP in 2006 and 2007, Eight time NBA All Star, Seven Time All NBA Selection and finish with 10,335 assists third in NBA history , He also holds the best free-throw shooter in NBA history at averaging 90.4 percent. No Comment to " NBA Two Time MVP Steve Nash Retired After A 19 Year NBA Career "